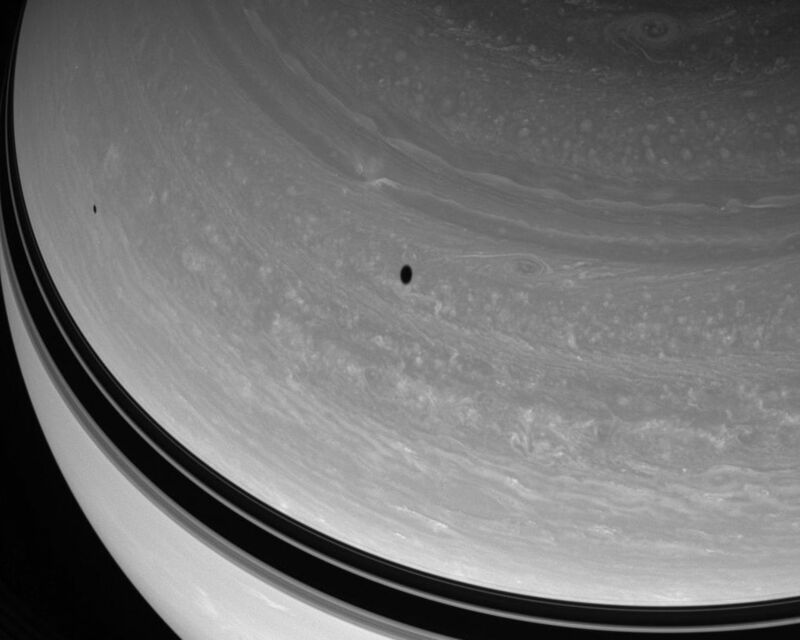 Two dark spots drift across the northern skies of Saturn. 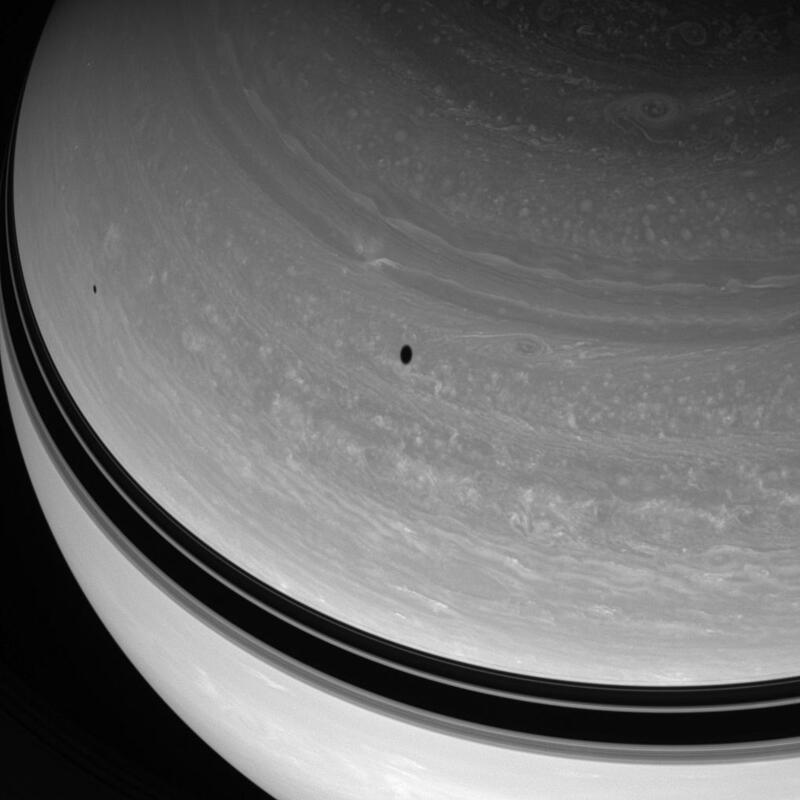 The shadows are cast by the moons Tethys and Mimas. Tethys (1,071 kilometers, or 665 miles across) orbits farther from Saturn than Mimas (397 kilometers, or 247 miles across) and casts the larger of the two shadows here. 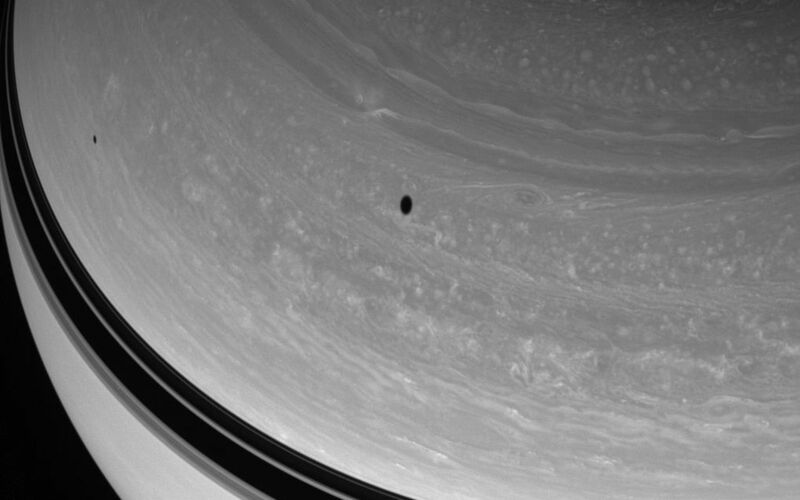 This view looks toward the unilluminated side of the rings from about 46 degrees above the ringplane.The image was taken in visible light with the Cassini spacecraft wide-angle camera on March 30, 2008. 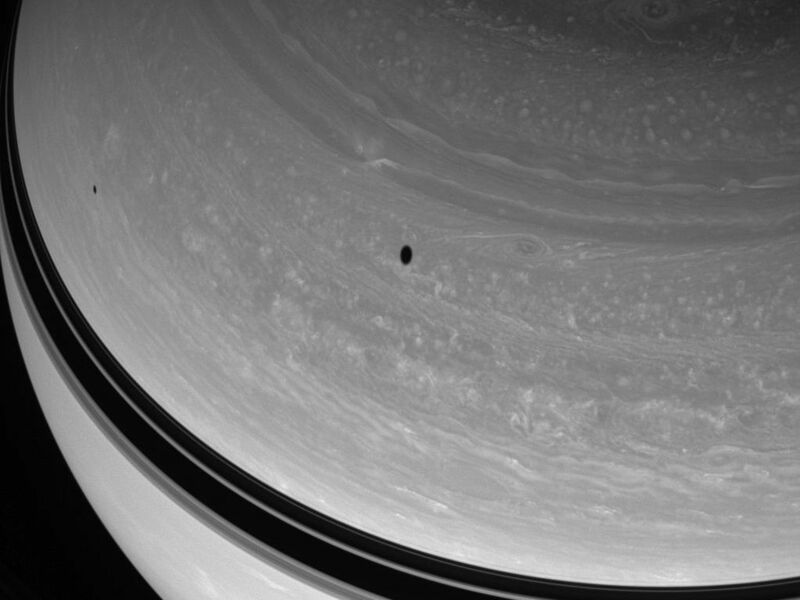 The view was obtained at a distance of approximately 1.2 million kilometers (720,000 miles) from Saturn. Image scale is 66 kilometers (41 miles) per pixel.